This photographic print shows Ditchling Road by the open market in Brighton. 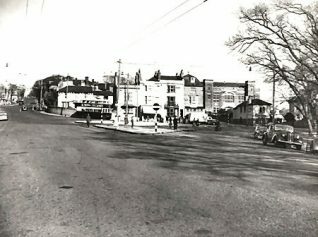 A Salvation Army building can be seen in the background. The print was made by the Borough Surveyor's department in October 1953.
c) SALVATION ARMY: The nearby Congress Hall of the Salvation Army in Park Crescent Terrace was completed in 1883, and was formally opened in March 1884 by Mrs Booth, the wife of the founder of the movement. Designed by E.J.Hamilton, it is a large, brick building with two flanking battlemented towers and a little terracotta decoration; it seats 1,400 people and has additions of 1925. The army’s first branch in the area was established in about 1880 at Conway Street , Hove, after General Booth’s first visit in 1879. In 1891 the Salvation Army bought a former riding school in Edward Street (where the D.S.S. building, Windsor House, now stands) and established a second citadel with battlemented towers, but it was demolished in 1965 and a replacement building now stands in Carlton Hill . A goodwill centre was run in Moulsecoomb Way from the late 1930s, but an Allen West factory was built on the site in the mid ’50s. 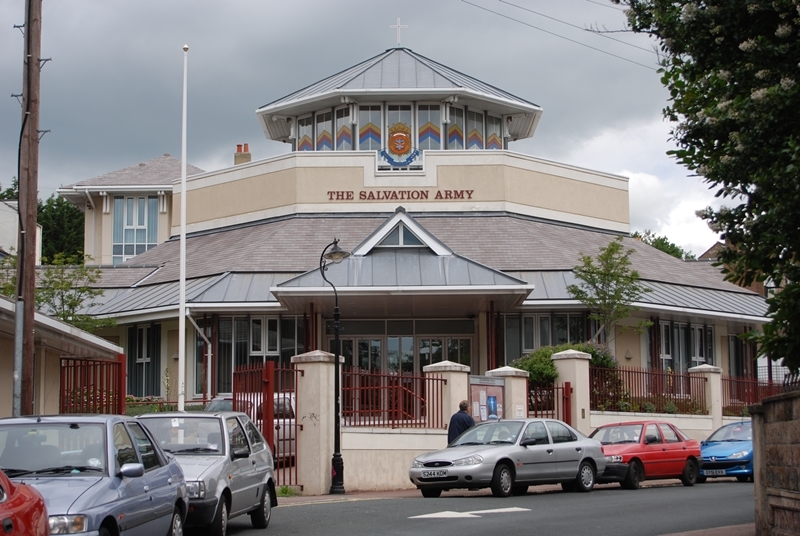 There is also a Salvation Army hall at Leybourne Road, Bevendean.